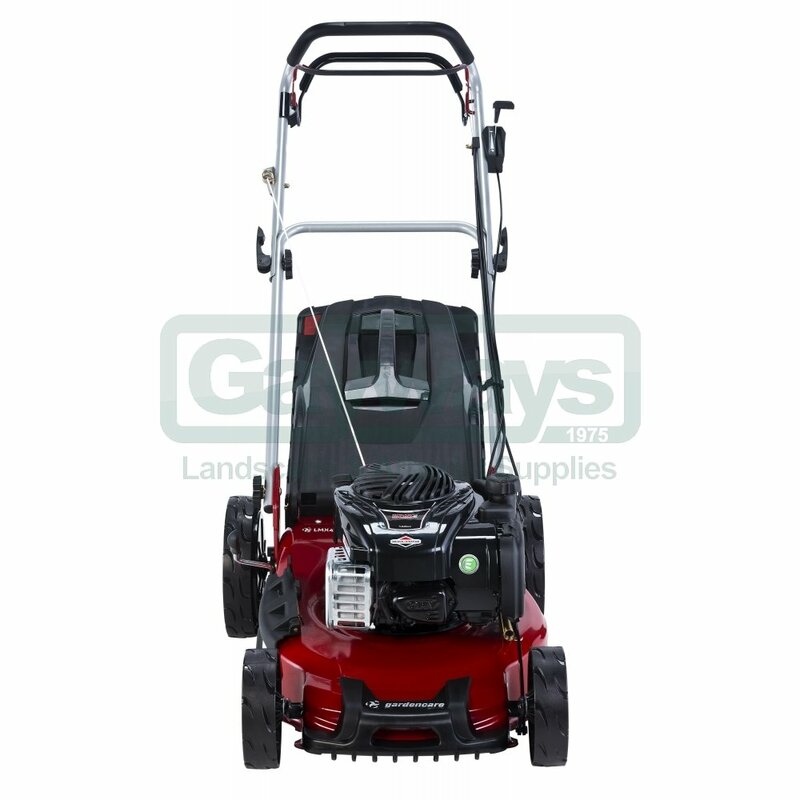 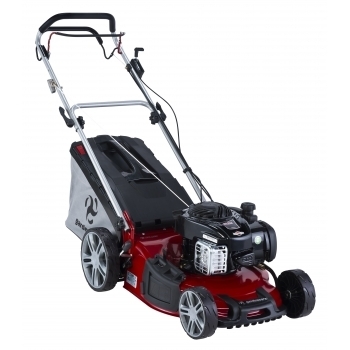 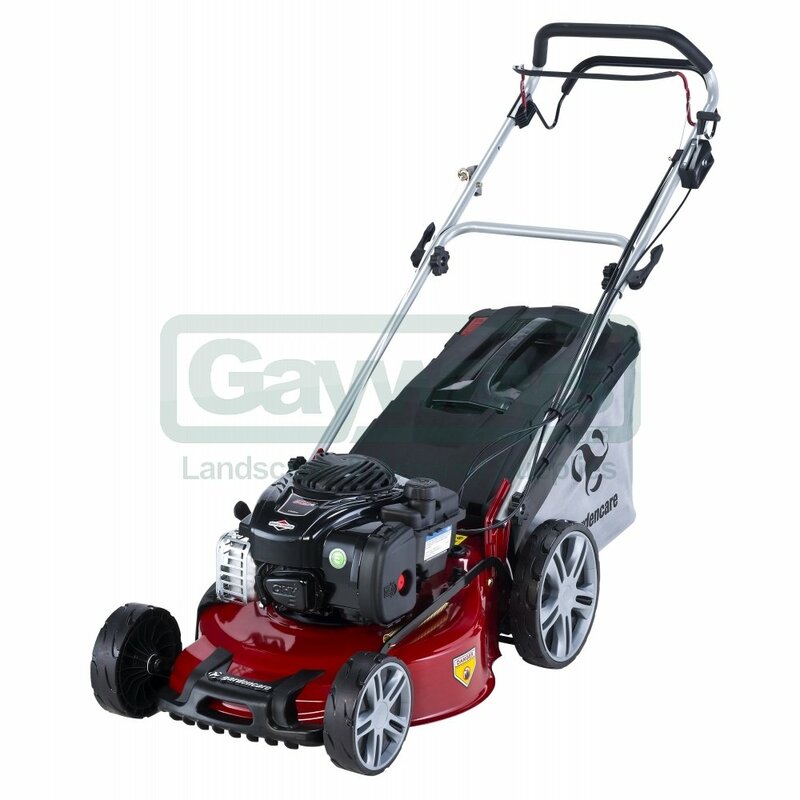 Featuring a Briggs & Stratton 500e Series engine, the LMX46SP produces 140cc of power to the 46cm (18") cutting deck, New for 2018, this mower cuts right 'to the edge' of the deck giving a tidier, more accurate cut, with grass collection ready in the 60L mounted grass bag. 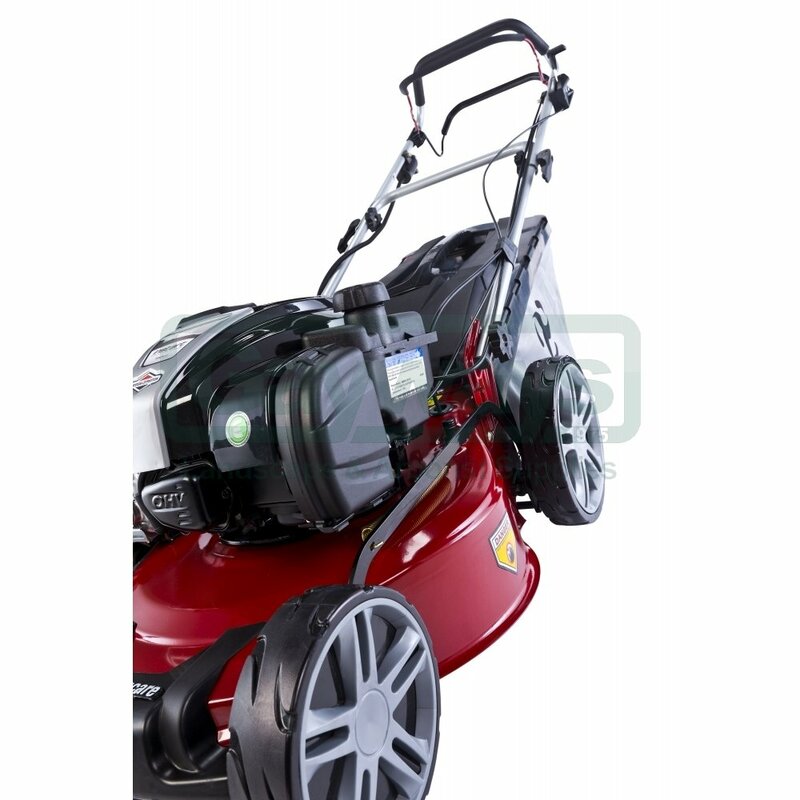 Featuring the larger new rear wheel size of 10", the LMX46P travels effortlessly across your lawn to allow for both mulching & bag collection as required. 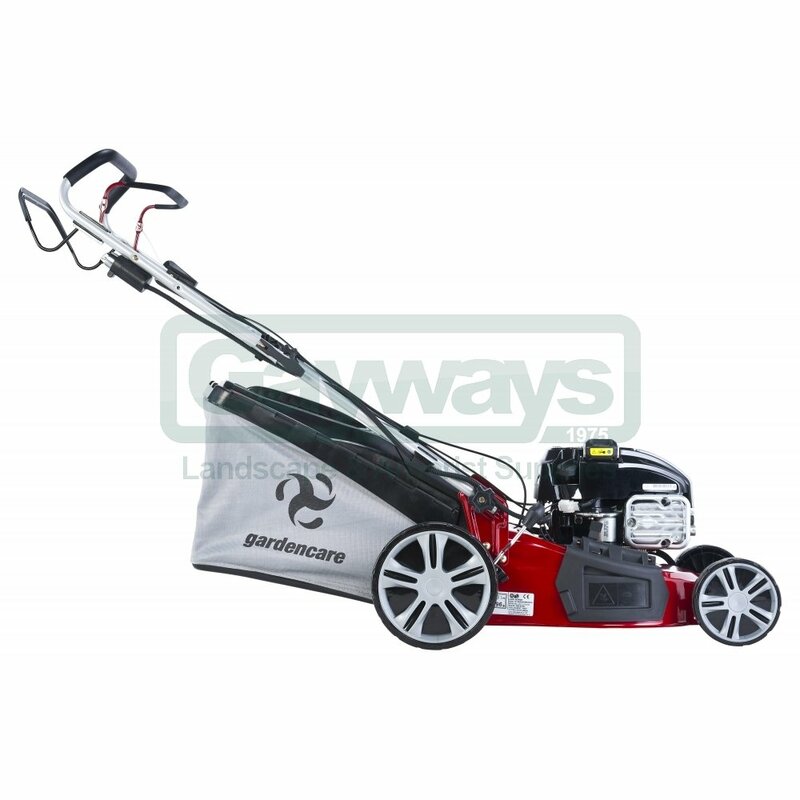 Standard features include: Cushioned handle grip, single lever height adjustment through 6 stages and quick release handles. 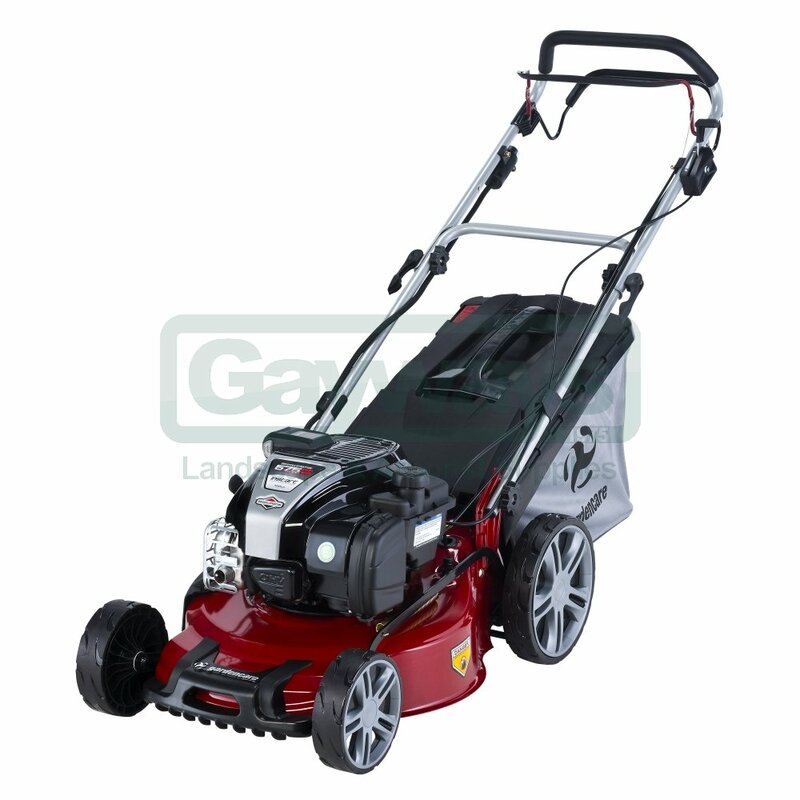 Registration through Gardencare's website is required for 5 Year Warranty.